Although 'Melezes' is marked red, it's really a blue-ish red. 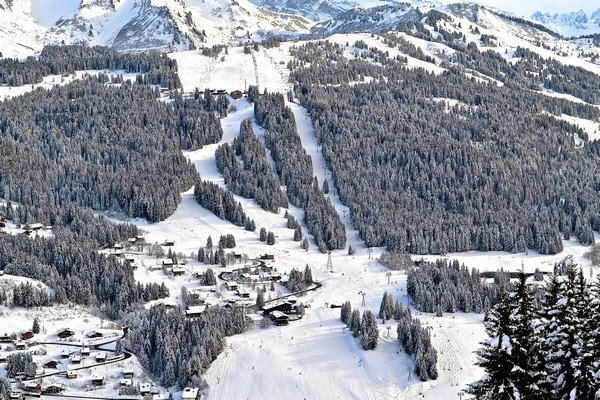 A wonderful run for intermediates and advanced skiers alike, this wide Les Gets piste is both interesting and fast. Situated at the edge of the ski area, it tends to stay quiet all day, and there's rarely a queue for the Perrieres (6-person) Express chairlift to whisk you straight back to the top. Be sure to do a few laps whilst you're there! When you get to the top of the Chamossiere Express you have two choices, either the red 'Arbis' or the black 'Les Creux'. There's really only one choice in our view, and that's the 'Arbis'. 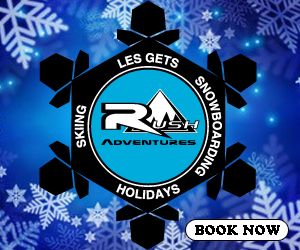 This is a fantastic and challenging red run, great for more advanced skiers looking for an exciting and long red run. It's probably the hardest red in the Les Gets and Morzine area and the conditions can vary massively from one day to the next. 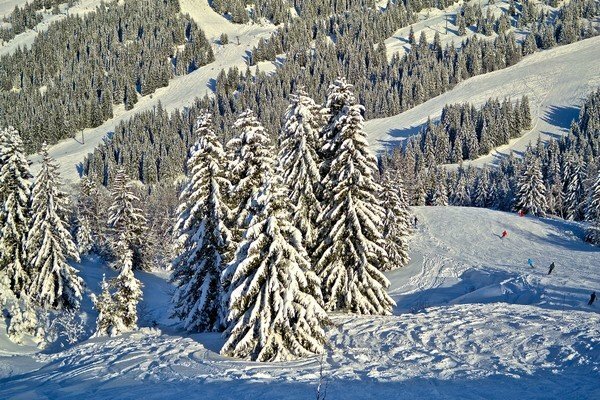 This is the perfect run for nearly-beginners wanting to take their first adventure away from the dedicated beginners slopes at the Chavannes area of Les Gets. 'Choucas' is a very gentle blue run which winds its way down a mountain road for nearly 5km through the forests. There's a great little cabin half way down to stop for a hot-chocolate and to rest your legs. 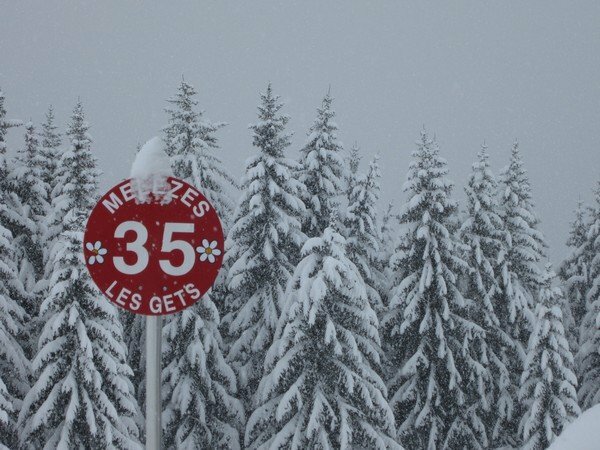 A piste guide to Les Gets wouldn't be complete without a run or two on Mont Chéry. This isolated mountain is accessible by walking through the village or catching the 'petit train' from the Chavannes side. Mont Chéry is an intermediate's paradise. The top half of 'Chamois' red run is wide and open, ideal for practising those carving turns, and the views of Mont Blanc are fantastic. The lower half of the run brings you all the way back into Les Gets village, with a few narrower more challenging sections and even a couple of road crossings! There's something both exhilarating and satisfying about really long ski runs. Our 'Vertical KM' starts at 2000m at the top of Pointe de Nyon and ends at around 1000m in Nyon. It's actually a compilation of ski runs and not actually called 'The Vertical KM'! Zig-zag down the 'Aigle Rouge' red to start with before joining the 'Raverettes', 'Paquerages' and 'Lievre' blue slopes. Halfway down 'Lievre' everyone will peel off and you'll have the last km of piste to yourself. Climb the steps (on the far side of the car park) and jump on the Nyon cablecar back up to the Nyon plateau. Daniel Pressley works for The Ski Gathering who offer ski holidays in Les Gets for singles, and small groups, looking to join a bigger party.